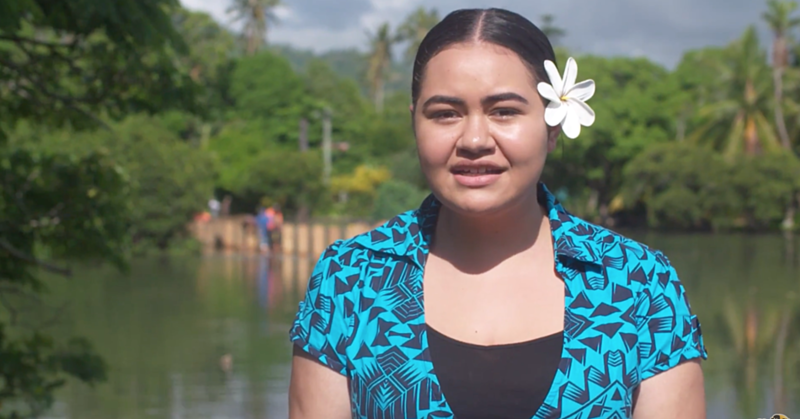 Love was definitely in the air on Saturday when Saunoamaalii Ken Scanlan and Gloria Omeka Fruean said their I doís in front of families and friends at Faleula. The ceremony at the Assembly of God church was conducted by Rev. 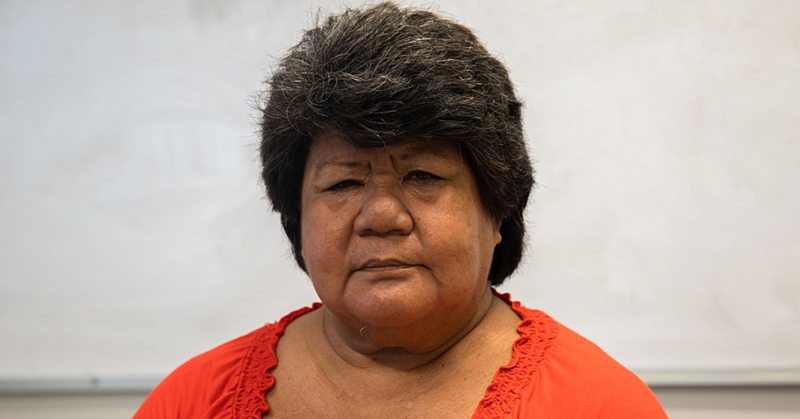 Dr. Tavita Pagaialiíi. Gloria, 25, is the 3rd daughter of Richardson and Mile Frueanís five children. They hail from Faleula. Saunoamaalii, 26, is the 4th son of Rev. Venisini and Amaketo Scanlanís six children. They are also from Faleula. According to a family member, the couple had been courting for two years. 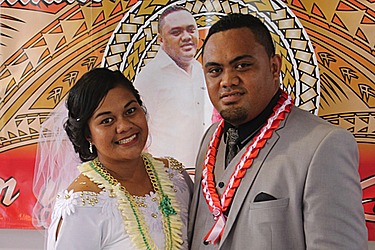 They first met at church in 2014 when Saunoamaalii was studying for a B.A. at the Harvest Bible College Lotopa. The bride and groom also share the same birthday on 30th of November. The newlyweds run their own business at Faleula. Following the church service, the reception to celebrate the marriage of the newlyweds, was held at the Harvest Centre Hall at Lotopa.